This week I was asked to do a day of math activities for grade 7&8 students in a school. I wanted to do activities that had definite mathematical connections but were also fun and engaging. as it turned out all I had to do was look to @DavidButlerUoA's site. He often runs these sessions called 100 Factorial and these seemed like just the kind of thing to do with these students. We did Body Scale Prime Climb (thanks to @MathforLove), Panda Squares and Quarter the Cross. But you should check out all of his 100 Factorial ideas at the link below.You (and your students) won't be disappointed. While I was looking for activities with my grade 7&8 students I came across this nice set of activities from @nomad_penguin on classifying quadrilaterals. From simple classifying to sorting to playing guess who (and other stuff). Have fun. I created this activity for exploring the nature of the ambiguous case for sine law. It uses some of the Desmos geometry tools but also in the end, it also uses Challenge Creator where students create their own challenges for the rest of their classmates. This is a really good activity to have students practice the sine law. When I was fiddling around with solutions to Quarter the Cross, I created this dynamic sketch dealing with the area of triangles. When I first looked at it, I was surprised at how the areas stayed similar. It took me a little thinking to figure out why this happens. You can play around with the dynamic sketch at the link below. 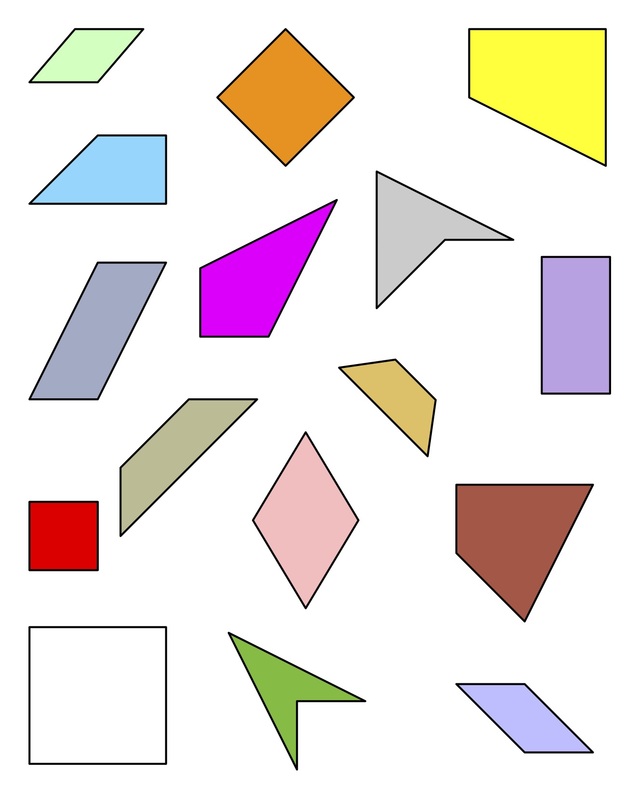 Here's a relatively simple intro to similar triangles from @marybourassa. The thing I like about this is that it connects similar triangles to Pythagorean theorem to trig ratios. It's not that long but would be a good addition to any class doing spiralling. This week we had the Ontario government had a virtual town hall on the current state of education. And @msbjacobs was there to live Tweet it. Its pretty interesting and I'm glad that he did it. Follow the whole set of Tweets here by clicking through on the link. About to start the telephone Town Hall meeting for Education in Ontario. Will try to live tweet. Are you interested in learning how to make dynamic constructions? Using Desmos Geometry, I started creating this one minute videos to show how to do some simple constructions. One of them is below but click on the link to see them all. Here's a cool property: Square any prime number and the answer is 1 more than a multiple of 24. So you could easily connect this to any sort of calculation practice but even better, if you are doing anything with expanding binomials, this might be an interesting context to work in that area. I wanted to show a few more of the Quarter the Cross solutions that we saw this week.